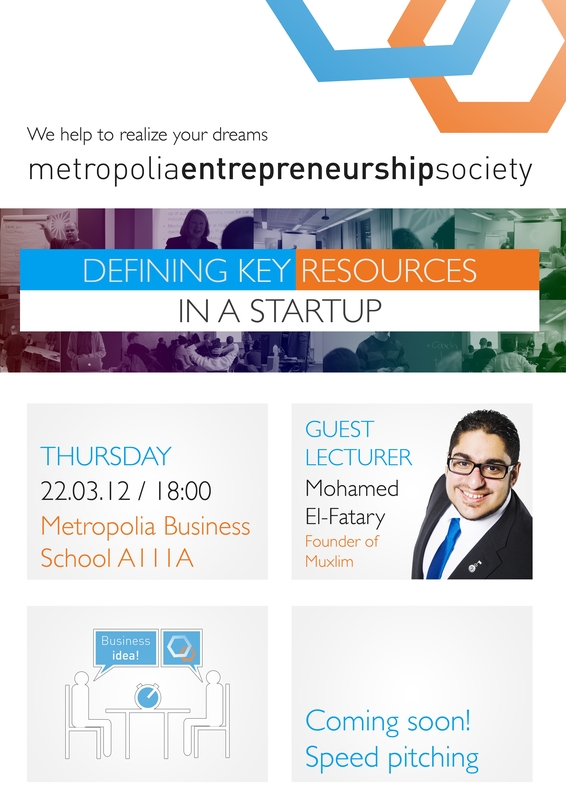 MetropoliaES and StartUP Challenge have signed up Mohamed El-Fatatry founder of Muxlim to come and talk about “Defining Key Resources in a Startup” this Thursday 22nd of March at18:00 in A111a Metropolia Business School Leiritie. Muxlim was covered in the Helsingin Sanomat at the week-end under the heading “Mohamed’s Bubble” in which it reviews the recent closing down of the Muxlim website. The report appears to have an error which have been corrected in yesterday’s newspaper http://shrt.st/2dsq. Thursday will provide a great opportunity to ask questions Mohamed El-Fatatry about running a startup and the Muxlim experience. As part of MarketingTalks and a course Social Community Management Metropolia Business School have covered Muxlim in the past and have video interviews of Stephen Lee formerly of Muxlim discussing the topic of social media and Muxlim. Wow, amazing blog layout! How long have you been blogging for? you make blogging look easy. The overall look of your site is great, let alone the content!. Thanks For Your article about “Defining Key Resources in a Startup’ Mohamed El-Fatatry, Muxlim Founder” Metropolia Blog . Hey There. I found your blog using msn. This is an extremely well written article. I will be sure to bookmark it and come back to read more of â€œDefining Key Resources in a Startupâ€ Mohamed El-Fatatry, Muxlim Founder Metropolia Blog . Thanks for the post. I’ll definitely return.